MTC Bio Weigh Boats are made of antistatic polystyrene and will withstand temperatures to 90C, as well as exposure to diluted acids, alcohols, bases and aqueous solutions. Their flexibility and smooth interior surfaces with rounded corners allow for easy decanting of powdered samples. Their flat bottoms ensure stability and prevent tipping. 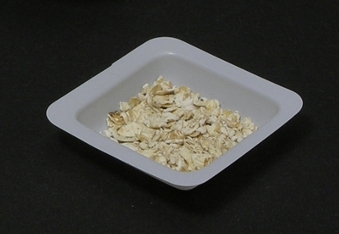 Weigh boats have also proven ideal for dispensing & storage and as disposable mixing/quick freezing trays. These trays are white, measure 45mm x 45mm and hold 20ml. This is a pack of 10 weigh boats for use with small scale projects.